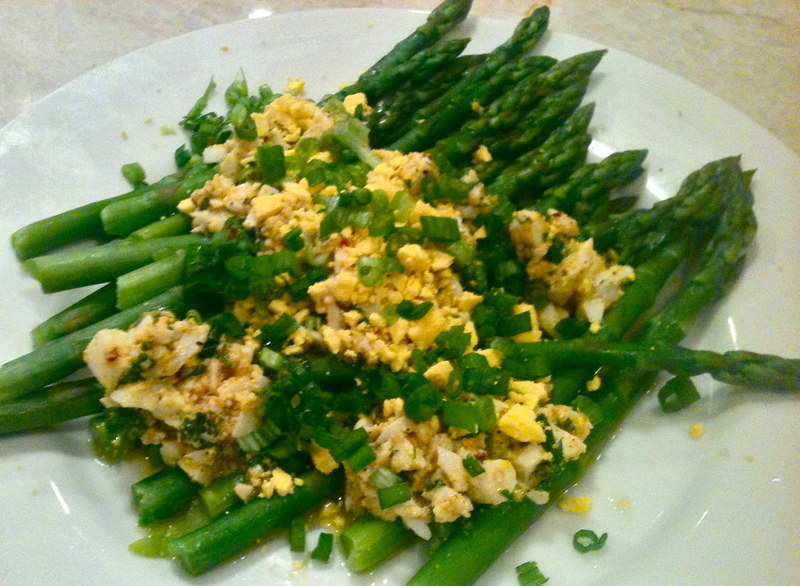 Asparagus with Hard-boiled Egg Dressing. Adapted from seven spoons, this alternative salad is unique, fresh, and bright. It’s perfect for dressing up a simple main dish, like a roasted chicken breast or mushroom ravioli. Welcome the spring with a vibrant and healthy asparagus dish, and watch out, or you might just eat the whole platter yourself. 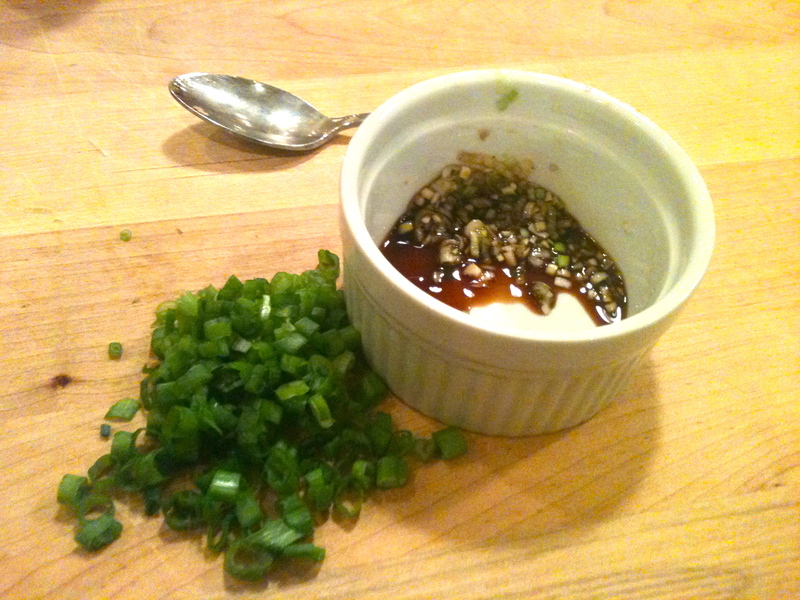 In a medium-sized bowl (you’ll be mixing your dressing in here), stir together 1/8 tsp salt, the white parts of the green onion, and balsamic vinegar. Set aside. Fill a shallow pan with a bit less than an inch of water. Bring to a boil and add the asparagus. Cover and cook for 2 minutes, then remove from heat, drain, and place asparagus in an ice bath, so that they stay crisp and bright. 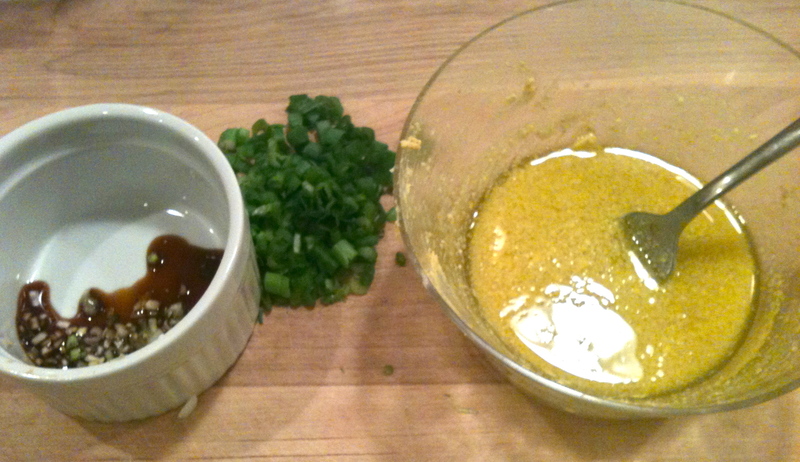 Combine mustard, half of the diced egg yolk, and 1 tbsp olive oil. Mix until smooth. While stirring, slowly add more olive oil until consistency is slightly runny. 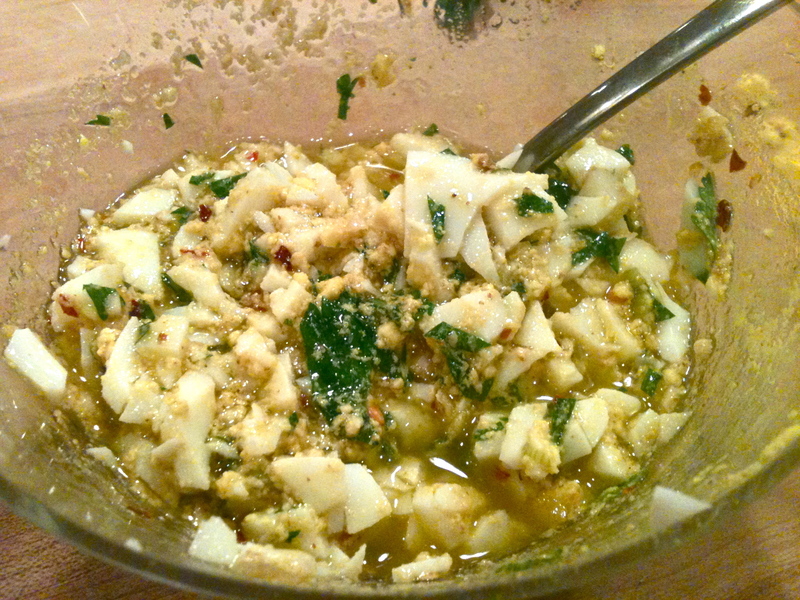 Stir in scallion mixture and egg whites, and add red pepper flakes, parsley, salt, and pepper to taste. Mix well. Place asparagus–either cold or hot, both are good!–on a platter and top with dressing. Garnish with remaining egg yolk and green parts of green onion. Happy St. Paddy’s Day!! Sounds like a perfect side for Easter Brunch! !